How to unlock Samsung Galaxy Xcover 3 by code ? Unlocking Samsung Galaxy Xcover 3 by code is the easiest and fastest way to make your device network free. It doesn't interfere in your system or change it in any way so even after using our code, you don't loose your warranty. In order to receive a network unlock code for your Samsung Galaxy Xcover 3 you need to provide IMEI number (15 digits unique number). It can be found by dialing *#06# as a phone number, as well as by checking in the phone settings of your device. Depending on the information you have about your Galaxy Xcover 3. You can use a service based on the country or continent from which it comes from. For your Samsung Galaxy Xcover 3 you can use the following services: Europe, USA, Canada, South America, United Kingdom, Ireland and many more. All new Samsung Galaxy Xcover 3 coming from T-Mobile USA or Metro Pcs USA with "Device Unlock App" can be unlocked by a Device Unlock App service. For unlock Samsung Galaxy Xcover 3 following options are available. If you don't know which option use for unlock your phone, please contact us. We will help you choose the right product for your phone. Waiting for codes a few hours, but in the end everithing works fine, from first attempt. Verry good service. 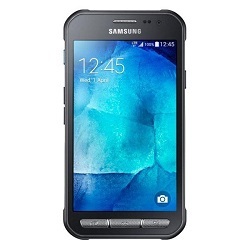 Unlocking instruction for Samsung Galaxy Xcover 3 ? Entering the unlock code in a Samsung Galaxy Xcover 3 is very simple. 3. Samsung Galaxy Xcover 3 is now network unlocked !!! NCK, MCK or SPCK for Samsung Galaxy Xcover 3 ? In order to unlock Samsung Galaxy Xcover 3 network blockade, you need a NCK (network) code. If the code counter is blocked, you will need MCK (unfreeze) code as well to reset the code counter. If Samsung Galaxy Xcover 3 has a blockade for a subnetwork like Tesco or Virgin you need to use a SPCK (service provider) code. What is a Samsung Galaxy Xcover 3 network lock? It means that the Samsung Galaxy Xcover 3 can only receive signal from one network. If you insert a simcard from a different network, the device will ask for an unlock code, or will show the message that this simcard doesn't work. Phone freeze is a result of the incorrect code being inputted too many times, which means your Samsung Galaxy Xcover 3 is Hardlocked. You will require a Defreeze (MCK) code and a NCK code to unlock your phone. There are different types of unlock codes for your Samsung Galaxy Xcover 3. One of them is called unfreeze code, which is used to reset the code counter in your device. Samsung Galaxy Xcover 3 usually have 3 TRIES to enter the unlock code. The biggest problem is that the phone doesn't show the code counter and there is no way to check. If you want to unlock a Samsung Galaxy Xcover 3 with a blocked code counter, you need the unfreeze code. The code can also be used to remove a regional blokade if you want to travel to different countries. Szybki serwis i super obsluga. Super optimal, nach 15 Minuten hatte ich einen funktionierenden Code. A1 (AT) wollte von mir nochmals 150€ für mein eigenes bezahltes Samsung abzocken. Danke; super Arbeit. Top Dienst . Hat ca 40 Minuten gedauert dann war der Code da . Kaj naj reèem ... kodi poslani v 15 min po plaèilu in zadeva deluje. Odlièna storitev in vse pohvale. What to say ... codes delivered in 15 min after paymen and it works. Great service and all compliments. Alles Bestens Kann ich nur weiterempfehlen. Hat super funktioniert Der Code wurde innerhalb weniger Minuten nach der Bestellung per E-Mail versendet. Die Anleitung sollte aber etwas verständlicher vormuliert werden. Ich habe mehrere Versuche benötigt. SIM Lock ist nun dauerhaft entfernt. it worked from first try, the "unfreeze confirm" was not present for galaxy xcover 3, i just inserted nck code once, it was all. In 10 Minuten war der Code da, war in 3 Sekunden freigeschaltet Tip Top. Works like a charm for galaxy xcover 3 bought in Germany for use in Israel. Pelephone network. One more happy customer. Thank you. One more happy customer.Will recommend to anyone.Thank you.